Enjoy Hassle Free Moving Solutions from #1 Noida Movers Packers! When a decision regarding home or office relocation is taken, it is bound to create the feelings of anxiety, stress and tension. There is so much to pack and so many things to take care, that this job starts looking like a mammoth task on the shoulders. But, with help close at hand, there in no longer any need to get tensed or stressed. Perfect relocation solutions are offered by Noida Packers and Movers thereby reducing a lot of stress related to moving. A variety of services like packing, loading, unloading, household shifting and many more are offered by us. When we are at the helm of the affairs, you can just sit back and relax and plan various activities that you would indulge in when you move to the new place. There would be so much to see and so much to find out. Thus, leave all tensions to us and focus on other tasks that you are required to do. 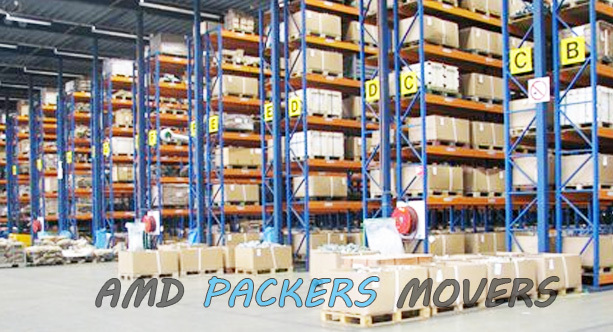 We at AMD packers and movers offer our services in a highly professional manner. Just give us the instructions and we will take up the job from there. Each and every item will be carefully packed and stored in a carton. If required, bubble wrap would be used so that no damage comes to the delicate items. After packing, we will load everything carefully on the moving vehicle and once we reach the new place, each and everything will be unloaded and unpacked with great care. Each and everything will be kept at its proper place after consulting with you. We are one of the most renowned Movers & Packers in Noida. We have carved a niche for ourselves in this field with our sheer hard work and dedication. Our staff is fully trained and understands the turmoil and stress you may be undergoing when relocating to a new place. You have nothing to worry with AMD packers and Movers available just a phone call away!